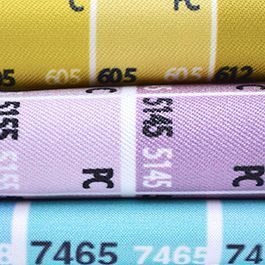 Printing with Digital Fabrics is easy, even when supplying your own fabric for digital fabric printing! Could not find a desirable fabric from our range? No worries, bring your own, just check the instruction below on supplying your fabric for digital printing process. 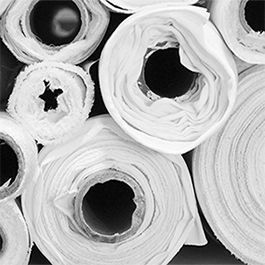 If you would like to supply your own polyester-base fabric for printing, your fabric must have a polyester content of 80% or more and be white-based. A polyester content of 100% is desirable, and will provide a more intense and deeper print colour. White as colour cannot be printed; any areas in the image that are white will be the colour of the fabric. Minimum order of 10 m applies to all customers supplied fabrics. Please provide fabric ON THE ROLL 2m longer than your print job in order to roll on and off our machines. Not enough fabric may lead to flaws and/or loss of print length. 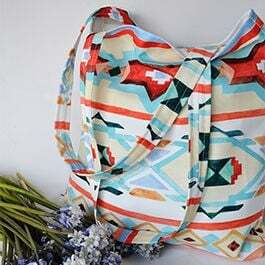 You MUST check your fabric for creases and marks before submitting your order, as any fabric flaws will impact print result. The fabrics width must be checked prior placing an order to determine how wide to setup your artwork. We do not accept fabric with Nylon or Acrylic as this will damage our equipment. Fabric composition of supplied fabric must be stated by you with your order. 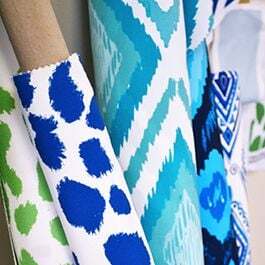 Please contact us regarding any fabrics you want to sent to us that are not on our fabric range list, we can arrange your fabric to be tested for print suitability.